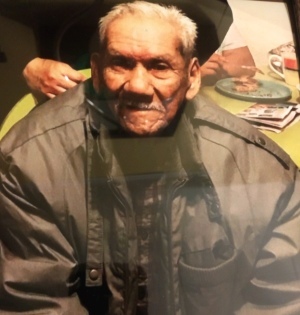 Gilberto "Beto" Barrera Sr., 83, passed away at his home on Sunday, January 20,2019, in Fort Lupton, Colorado. He married Alcadia Barrera on January 3, 1960 in Eagle Pass, Texas. Beto enjoyed gardening, carpentry, and taking a ride to his favorite spot in the mountains. Survivors included his wife Alcadia; his 5 sons, Roberto (Esperanza) Barrera, Gilberto (Diana) Barrera Jr., Hector Barrera, Rudy (Araceli) Barrera, Juanio Barrera; 8 Grandchildren; 16 Great Grandchildren; 1 brother Luis Barrera of Texas; as well as many nieces, nephews, brother-in-laws and sister-in-laws. He is preceded in death by his parents Maria de Jesus Facio and Alvino Barrera; 3 sisters; 2 brothers; and his grandson Gilberto Barrera III.